Rated 5 out of 5 by CanadaYYC from Excellent Product! Love this product! I use 3-4 times per week and I have sensitive skin. Does not irritate my face and gives a lovely fresh look to skin. Buy It!! Rated 5 out of 5 by VaBene from My fave exfoliator I've been in love with this product for 15 years. I just makes my skin feel revived and the smell of citrus wakes me up in the morning. Rated 5 out of 5 by Urbantwinkle from Great product! 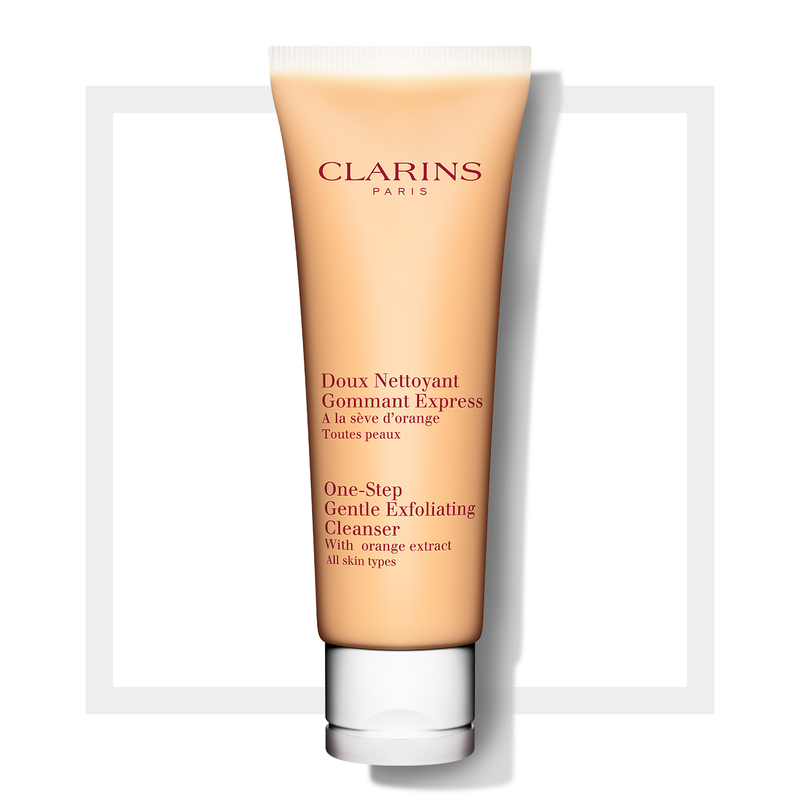 This was the first product I used from Clarins over 12 years ago and I still use it today! Reliable skincare as always with Clarins :) thank you! Rated 5 out of 5 by uoli from Excellent cleanser I really loved this gentle exfoliating cleanser. It makes me feel my face so refreshed and soft. I recommend it to all my friends... Thanks to my boss who encouraged me to use this product. Rated 5 out of 5 by Mizmine from Best Cleanser Ever! I love that products, make mine skin so soft after using it. My skin is really sensative and I get acne offten but since I use that product my skin look way better and I only had minimal acnes now. Cleaning your face with a good product can make a difference for sure! Rated 5 out of 5 by Ellie from cleanser I like this exfloliating cleanser because its gentle and thorough and leaves my face velvety soft. My skin is lighter and feels brand new.